Pets Costs > Veterinarian > How Much Does Dog Teeth Cleaning Cost? A dog’s oral hygiene and dental care are just as important as they are to humans. Periodontal disease has been linked to many other health issues such as heart and kidney failure. To prevent the build-up of plaque on the teeth and gums, regular brushing is necessary. You could choose to use a daily dog toothpaste, such as Petco Natural, or a weekly cleaning product like Oravet. If proper oral care is not used, your dog will need to have its teeth cleaned at a veterinary office, and unfortunately, this can be quite costly as the dog must be put under an anesthetic. This can cost even more if the damage is so extensive that some teeth have to be pulled. The cost of a cleaning for your dog’s teeth will vary greatly from one veterinarian to another. Costs for this procedure have ranged anywhere from as low as $85 for a basic cleaning to $600 for a cleaning and one tooth extraction. If a cleaning, surgery, and x-rays are necessary, the costs can be as high as $3,000. The factors that affect the cost include the vet’s office, the dog’s size and geographical location. Most basic cleanings will be within the $150 to $300 range. Some practices will charge a flat rate while others will others will charge by the hour. The cost of oral at-home treatment, such as regular dog toothpaste or a vet, will cost $30 to $60 per year. 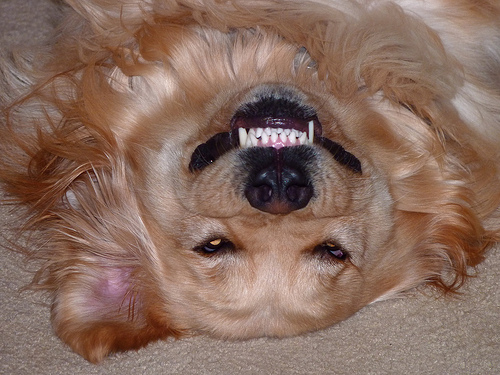 According to PetMD.com, the cost of a dog teeth cleaning will depend on a slew of factors. These factors will include the geographical location and what’s involved. A simple cleaning can cost you a few hundred dollars, while having oral surgery, if necessary, can cost upwards of a $1,000+. One of the biggest costs, the website notes, is anesthesia and the x-rays. Jessica Rhae at youdidwhatwithyourweiner.com checked out a few prices in her local area. One clinic gave her an estimate of $190 with post-dental medication, while another had quotes in the $79 to $109 range. Most veterinary offices will first examine the dog to determine if he or she needs the cleaning. They will also determine if the dog is healthy enough for a general anesthesia. Once the dog is put under the anesthetic, the vet will examine the teeth to see if any periodontal disease is present. The dog’s teeth will be cleaned above and below the gum line using an ultrasonic sealer – a tool that vibrates at high speeds. This tool is designed to remove any large pieces of tartar or plaque. The dog’s teeth will be polished and rinsed with fluoride once the brushing process is done. For more information on what teeth cleaning involves, read the twelve steps of professional teeth cleaning. During the procedure, the dog will be sedated. Once the dog has been sedated, the vet will do an initial exam to see what kind of work needs to be done. There will be times when an additional work has to be done on top of the cleaning. Using an ultrasonic scaling tool, the dog teeth cleaning process is very similar to a human cleaning. The entire process will take about 45 minutes to an hour. If the vet has to extract a tooth, it can take up to 30 minutes. If your dog has any damaged teeth that need to be removed, there will be an extra cost. This cost is usually about $30-$60 per tooth. If there is any periodontal disease present, your dog will need antibiotics to help kill it. These antibiotics can cost anywhere between $30-$80. Blood work may be recommended by the vet, and this can run about $100, depending on the pet’s age. After the procedure is done, the dog will be sent home with some medication, which can cost around $10 to $30. Surgery, as noted above, will be on a case by case basis. Depending on the dog’s age and health, these costs could be as little as $400 to more than $2,000. Dogs will start out with 28 baby teeth, also known as deciduous teeth. By six months, a dog should have all of their adult teeth, and a vet will recommend a dog comes in once all of its adult teeth have come in completely. Most dogs won’t sit still during this type of process, and because of this, a vet may recommend a general anesthesia. Try your best to brush your dog’s teeth at least twice a week. This will help prevent plaque build-up. Also, consider raw bones or toys that are designed to help prevent tartar build-up. Bad breath is the first indicator that you should bring your dog in for a checkup. Also be on the lookout for excessive drooling, misaligned teeth, discolored teeth or yellowish-brown tartar along the gum line. After a cleaning, dogs can usually start eating 12 hours after it was done. However, if the dog went through a surgery, it could take up to five days for the dog to fully recover. Breeds, such as Yorkies and Chihuahuas, have the most dental-related problems. If you’re worried about anesthesia and are looking for non-anesthesia dog teeth cleaning options, be forewarned that while you may be able to vet who will do it without any medication, it can be perceived as a risk, according to Wellpets.com. The first two things you will want to do is purchase a toothbrush made for a dog along with toothpaste. Caesarsway.com notes you should look for a brush that brushes at a 45-degree angle and is able to brush below the gumline. At first, your dog may not enjoy having a toothbrush jabbed in its mouth, and that’s okay because it’s pretty common. To make it a pleasant experience, try to pick out a time when your dog doesn’t have a lot of energy such as after a walk or at night. Start the process slowly and brush your dog’s teeth as you would your own. If your dog feels agitated at first, don’t overdo it, but instead, try to introduce your dog to the process. As the days go on, your dog should become more comfortable with the procedure. Never use human toothpaste because it will contain fluoride, which is extremely poisonous to dogs. The best way to save money is to avoid a dental cleaning altogether by proper dental upkeep. There are various resources online that can assist with cleaning your dog’s teeth. The more you do it, the more comfortable your dog will be with the entire process. Some veterinary offices will offer discounts to those who are able to pay cash. they were great!!! for twenty dollars more daisy got an antibiotic she took for a few days. I give them five stars!!! My dog’s teeth were cleaned, but I feel that the Veterinarian used the “all the traffic will bear” pricing model.